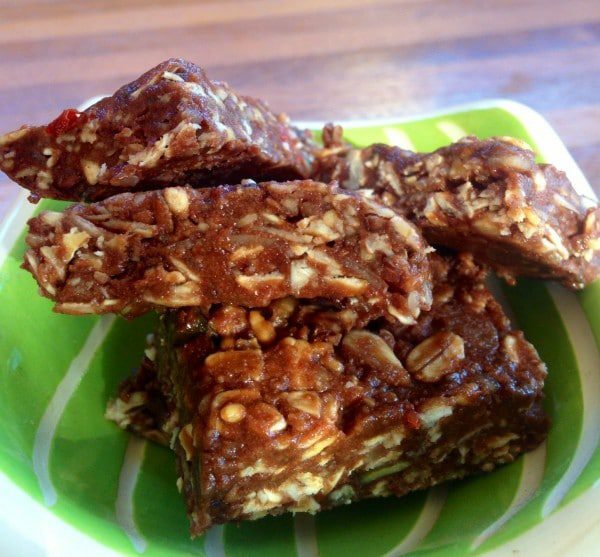 Great for post workout or nutritious quick snack/dessert. Mix all ingredients together in a bowl, then flatten mix into a tray / container & place in the freezer for 15 mins. Chop into bite sized mini muesli bars & keep in a container in the freezer for super-filling & nutritious snacks.